Once you've finished putting together all the video clips you would like to be in the final cut of your video, you can import it to the After Effects to polish the footage. Besides being a superb tool for creating animations or title sequences, After Effects is considered to be among the best editing programs for color correction. Here are some easy steps for color grading in After Effects. 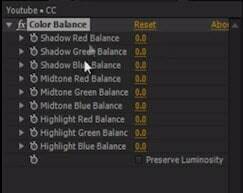 Once you import your project to AE, place it on the timeline and go to the Effects&Presets tab, then select Color Correction option. Locate the Tint effect and drop it on the part of your footage on which you want to apply it. Afterward, simply adjust Map Black and White values to achieve the desired effect. 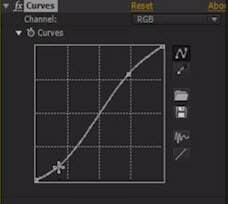 Using the Curve effect will help you create images with strong contrast values. 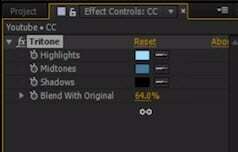 In order to apply this effect, find the effect in the Color Correction menu and apply it to the footage. Create a regular S shape from the line graph and check if the colors in the video are in balance. Setting the right values for Shadows, Highlights and Midtones is a very important step in color grading. Triton effect that is located in under Color Correction is easily applied by dragging and dropping it to the timeline, and it enables you to match the tone of your video. 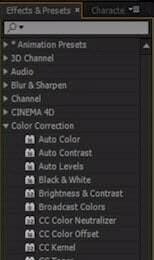 Set the RGB values by applying the Color Balance effect that is located in the Color Correction sub-menu. You can adjust the value of each color by holding shift and arrows on the keyboard or by directly entering the values. Easily fix the bright and dark spots on your images by applying the Shadow/Highlight effect. Adjust the Shadow Amount to darken or your footage or increase the Highlight Amount to make your images brighter.